Things to do on St. John. A visit to St. John isn't complete without a visit to some of its spectacular beaches-there are 39 to choose from. And, many are world-famous. Playing on St. John is like recess back in grade school, only lots better and lots more fun for grown ups and kids. How about soft white coral sand Caribbean beaches with names like Trunk Bay, Cinnamon Bay, Caneel Bay, and Little Maho? Want action? St. John offers you some of the best Caribbean scuba diving and snorkeling, Virgin Islands swimming beaches, sailing (bare boat charters for old salts or captained for true vacation comfort and luxury) and guided nature hiking in Virgin Islands National Park. Shopping on St. John is a fun-filled relaxing experience. Famous for its near perfect beaches and its national park, St. John is also a treasure chest of unique goods and shopkeepers. The island shops are small and very individualized and the island's mellow and laid-back feeling extends into its stores. Near the ferry landing, Wharfside Village houses an interesting arrangement of stores with a variety of appealing and attractive inventory including tropical ware, bags, swimsuits, and jewelry as well as food, liquor, hand crafted items and electronics. A short walk away through the tree-lined streets of Cruz Bay is another grouping of very attractive shops, Mongoose Junction, where fine artisans show their wares and where there are many eye pleasing galleries and boutiques. Excellent restaurants and cafes are available throughout the area where shoppers can relax, enjoy the atmosphere, and feel refreshed. Practically synonymous with the island itself, the Virgin Islands National Park is St. John's most valuable resource. The National Park encompasses half the island on ground that was donated by American multimillionaire philanthropist Lawrence Rockefeller in 1956. The park is a trust held in perpetuity which visitors, generations from now, will wish to find in the same shape as it is today. Please treat the property accordingly. Hiking trails abound throughout the island. 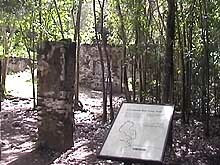 The Cinnamon Bay self-guiding trail (approximately one mile in one hour) passes by native tropical trees and the ruins of a sugar factory. 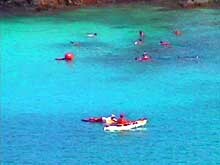 The Maho Bay camps allow adventurous outdoors oriented visitors to fully enjoy the island's environment. The resort won the Green Globe Commendation Award in 2000 for its environmental conservation policies. For more information about all that is going on in the beautiful St. John/Thomas, Check out the link below. 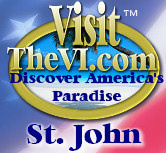 VisitTheVi.com is a member of the Virgin Islands Hotel & Tourism Association.  and VisitStJohn.com are trademarks and service marks of Tom Yaegel Associates Inc.